Who are the biggest social media stars in Germany? Dagi Bee, Sophia Thiel, Riccardo Simonetti or Julien Bam – they are all absolute maga stars of the generation “Digital Natives”. And all the hot contenders for the ABOUT YOU Awards, which will be presented on May 3, 2018, 23:00 hours on ProSieben. Lena Gerke and Steven Gätjen will host the big award show of social media stars. 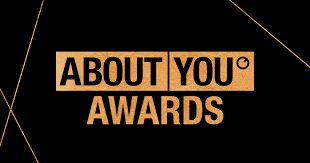 The ABOUT YOU Awards are presented in a total of seven categories: Fashion, Beauty, Lifestyle, Fitness, Upcoming, YouTube and Music. More than 1.7 million fans and followers set their top 3 in each category in early March with more than 5 million votes. The winners of the Top 3 are chosen by the more than 1,500 guests at the push of a button in the Munich Bavaria Studios. Among them: Bill and Tom Kaulitz, Luna Schweiger, Noah Becker, Wayne Carpendale, Tom Beck, Eva Padberg, Franziska Knuppe and Sarah Lombardi. The presenters of the respective categories include Steffi Giesinger, Lisa and Lena, Armin Moorbach as well as Thomas Hayo and Michael Michalsky.